Outdoor fire pits are a must-have landscape element as the weather gets cooler. Fall nights can get quite chilly so why not cozy up next to a warm fire? 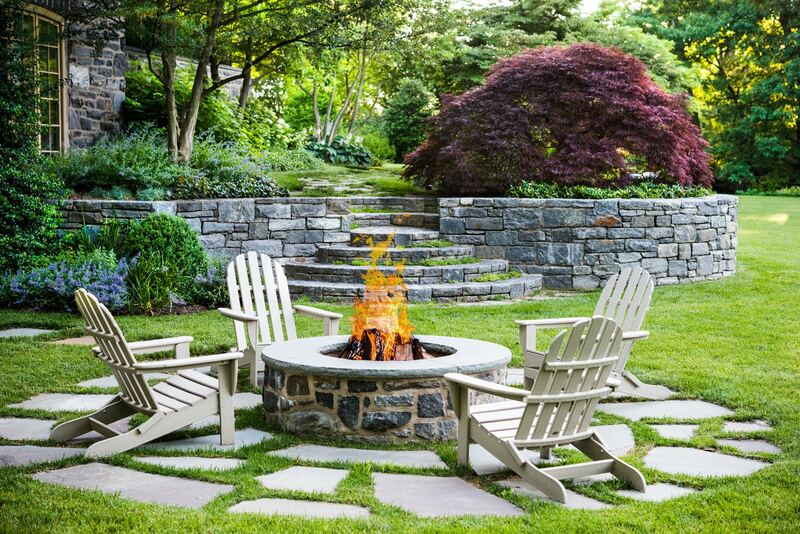 This elevated fire pit is the perfect spot for friends and family to get together and relax. The write-up and full site images for this specific project will be coming to our website very soon so don’t forget to check them out! previous post: Come on in… NEW PROJECT! next post: A True Grand Entrance – NEW PROJECT!